Biryani is my favourite recipe.All of my family members enjoy the biryani including my 3 yrs old daughter. 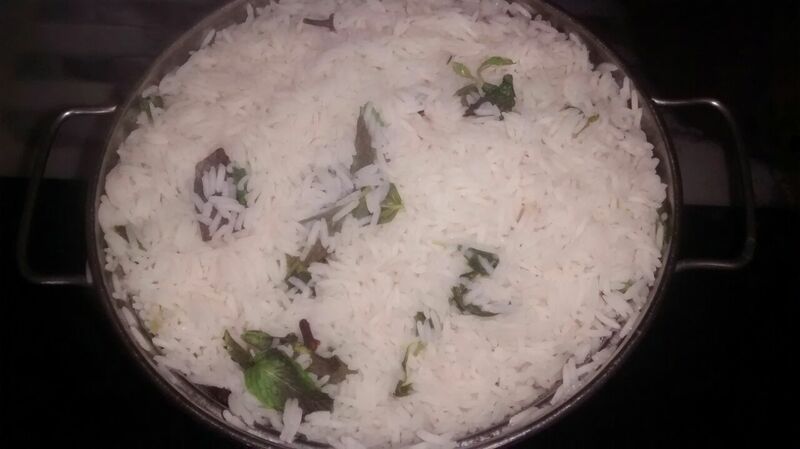 Usually I like to prepare biryani on weekends because we have to make weekend as special.. Right??. Mutton will give a different flavour to the biryani. All the secret is in the fat of the mutton, it give different taste among other biryani’s. 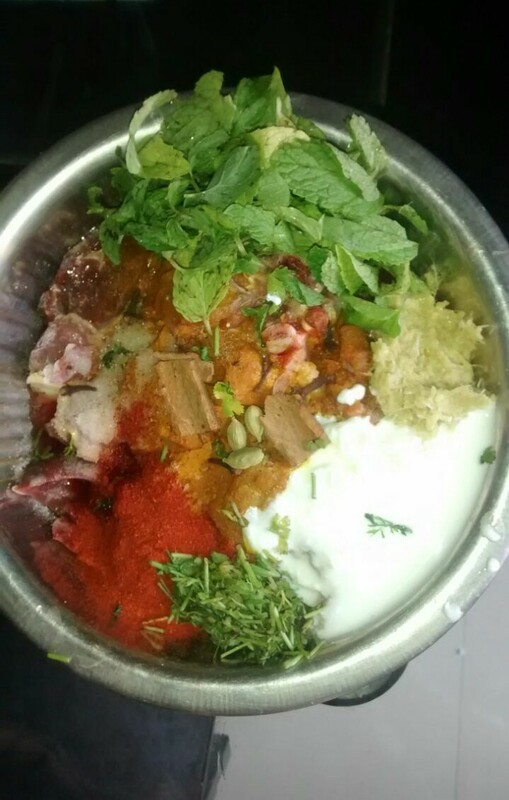 Marination is also give masala flavour to the mutton. Fried onions give awsone flavour to this mutton dum biryani. In this mutton dum biryani we first marinate the mutton with curd, whole spices, masala powder, red chilli powder, pudina leaves, lemon and salt. 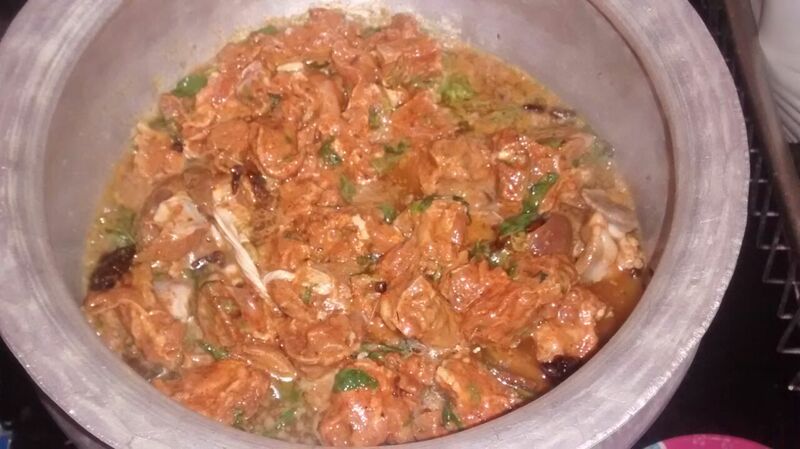 Then will cook the mutton nicely after will give dum with half cooked rice ( rice will be cooked along with whole spices) , pudina leaves and fried onions. It is very easy to prepare. Ginger garlic paste: 1 and half table spoon. Prepare fried onions . For this go to this link Fried onions recipie. In large bowl add mutton, curd,red chilli powder, turmeric powder,salt, ginger garlic paste, biryani masala powder,2 cinnamon stick,2 cardmon,1 table spoon shajeera, 2 biryani leaves,4 cloves, 5 black pepper seeds, 2 nutmeg and mace, 1 cup pudina leaves, 1/2 cup coriander leaves mix well. Squeeze lemon and mix properly. Marinate this mixture for 2 hours. 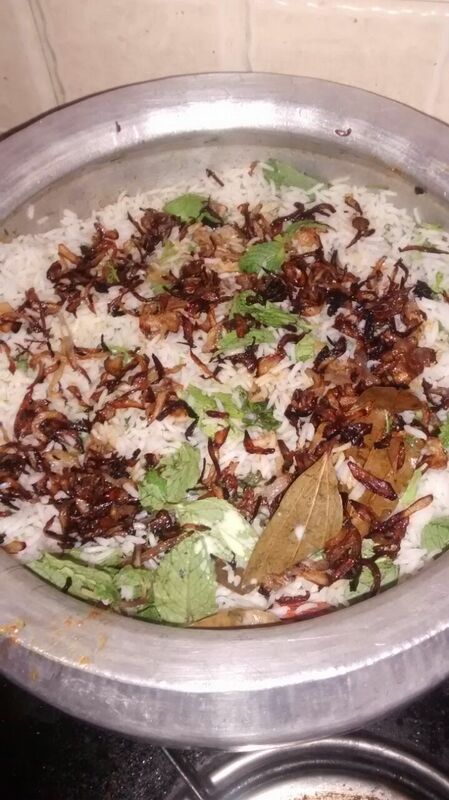 In a biryani vessel add 4 table spoons of oil, once heat add 2 cinnamon stick,2 cardmon,1 table spoon shajeera, 2 biryani leaves,4 cloves, 5 black pepper seeds, 2 nutmeg and mace saute for 1 minute. Now add marinated mutton cook in a slow flame. Cook untill mutton is properly cooked. 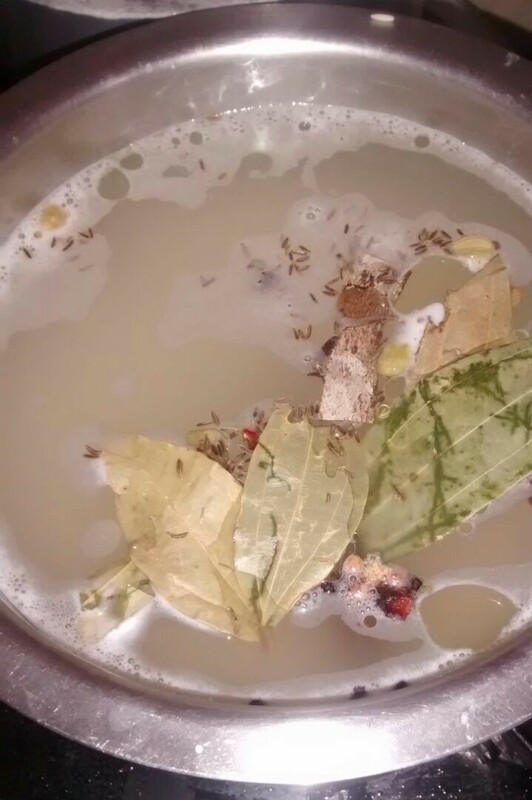 Meanwhile in large cooking pot add basmati rice , 10 or more cups of water, 2 cinnamon stick,2 cardmon,1 table spoon shajeera, 2 biryani leaves,4 cloves, 5 black pepper seeds, 2 nutmeg and mace, 1 table spoon oil and few pudina leaves, cook till rice will be half cooked. Then strain water. keep strained rice a side. Sprinkle 1 table spoon ghee and 1 table spoon food colour (red). Cover with a lid, that should be fitted properly no steam will come out. On the top of the lid add cold water cook for 15 to 20 minutes. Now open the lid stir the biryani. Delicious recipe, bookmarking this recipe becuase it sounds so tasty and looks even better! dum biryani – Silpa’s Kitchen. Superior purpose, friend. Normally i take joy in individuals who are effective in producing. I wish Developed this type of fine writing skills. I’m a individual and I have a need to talk hundreds of document definitely .